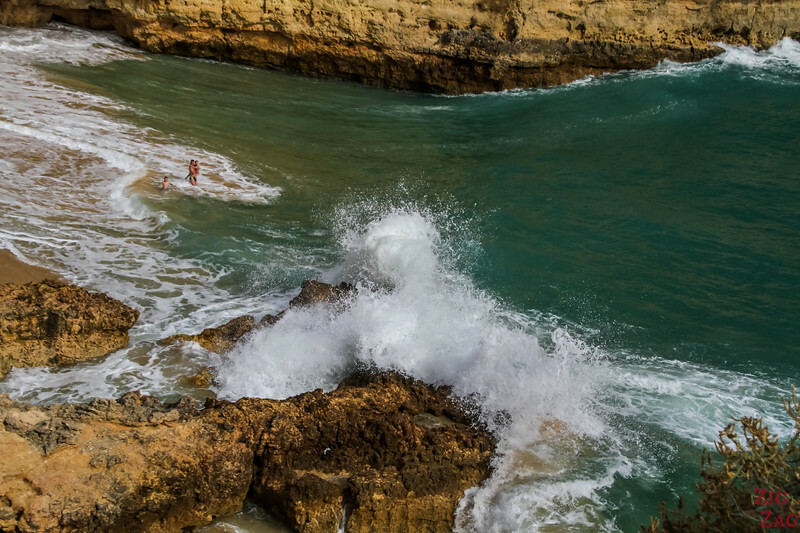 Praia de Albandeira is an Algarve beach worth discovering at high tide when the waves crash and swirl in the cove. 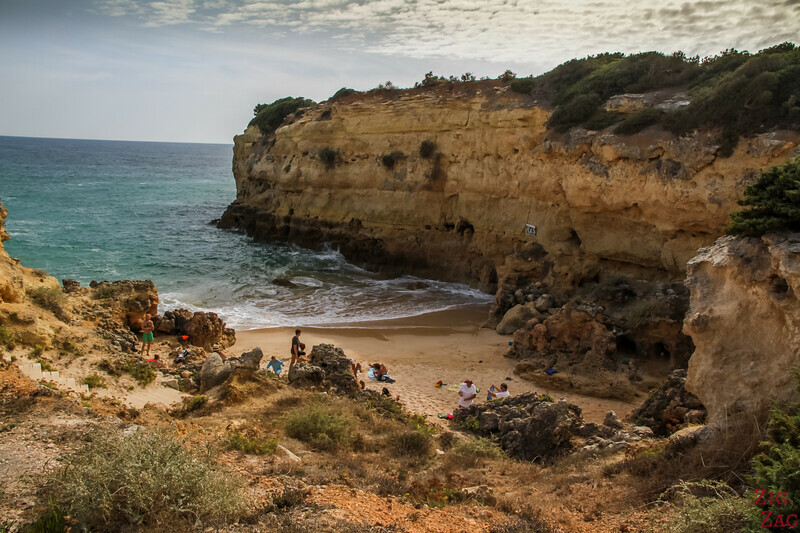 Discover the Albandeira Beach in photos and video. 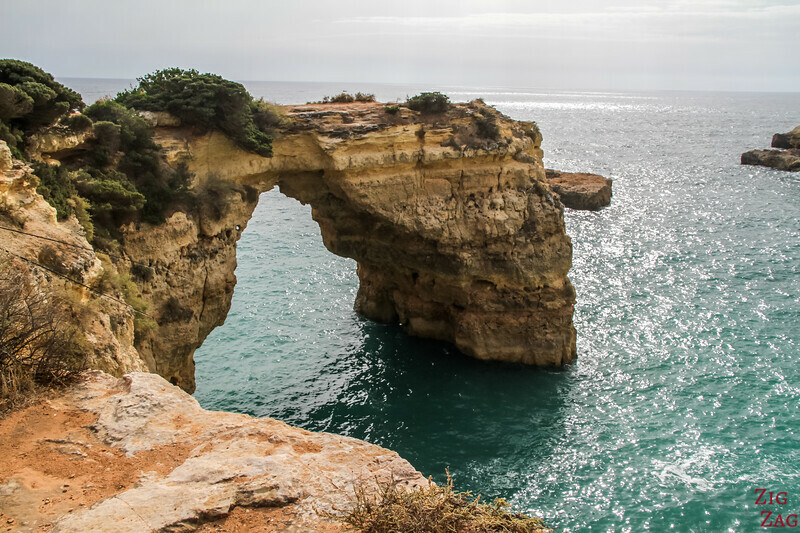 Let's start with a short video showing you the beauty of the crashing waves on Praia de Albandeira and its neighbor Praia da Estaquinha and the sea carved arch: Arco de Albandeira. 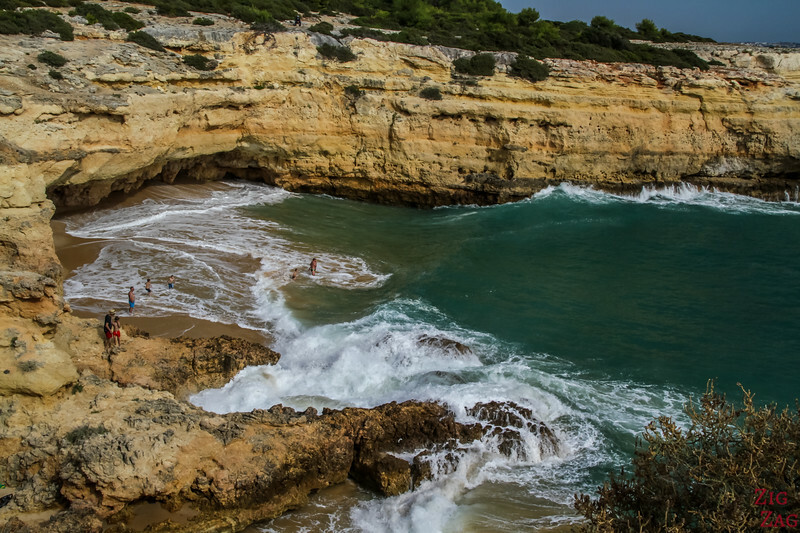 Praia de Albandeira is a small cove cut in two by rock formations creating 2 distinct beaches at high tide. 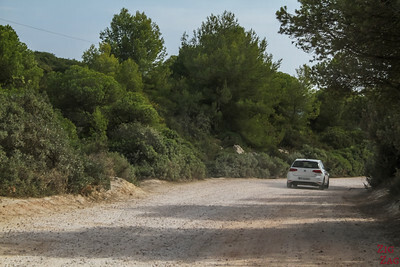 Below is the left side with the largest sandy area. 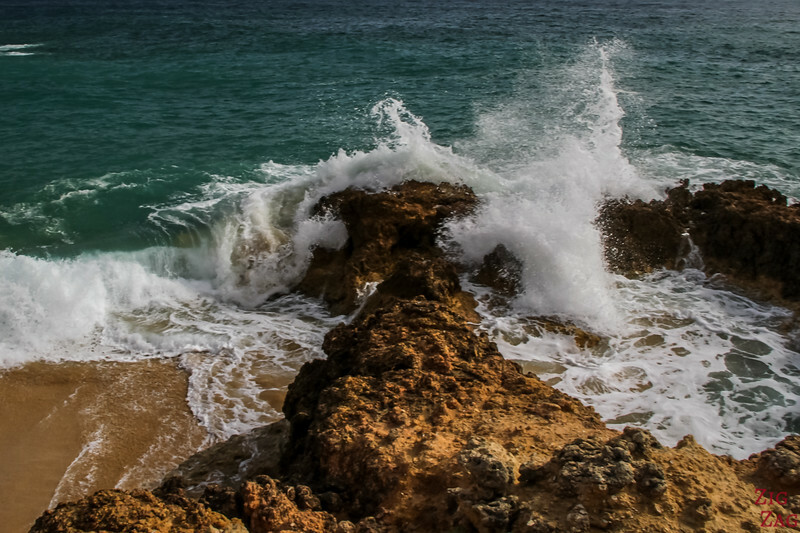 You have to be careful as the waves can be very powerful and come up quite fast! This is not the best beach for sunbathing. 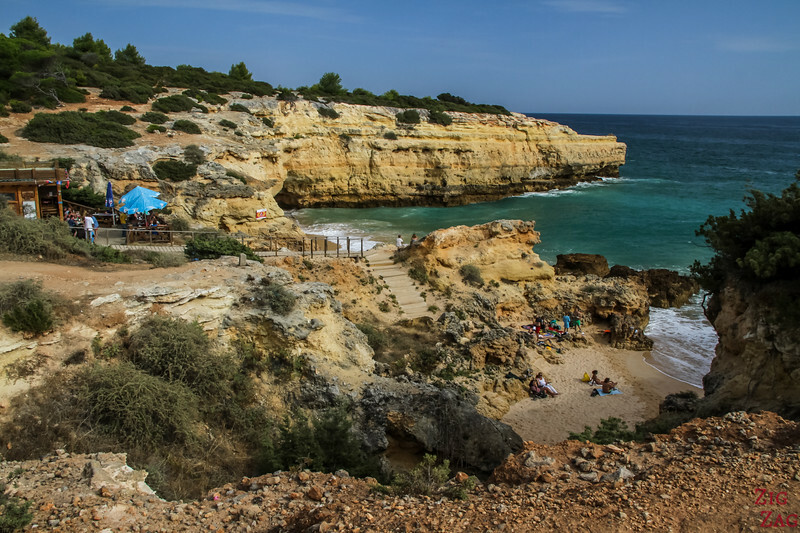 Even at low tide, the sandy area is not that big compared to other Algarve beaches. 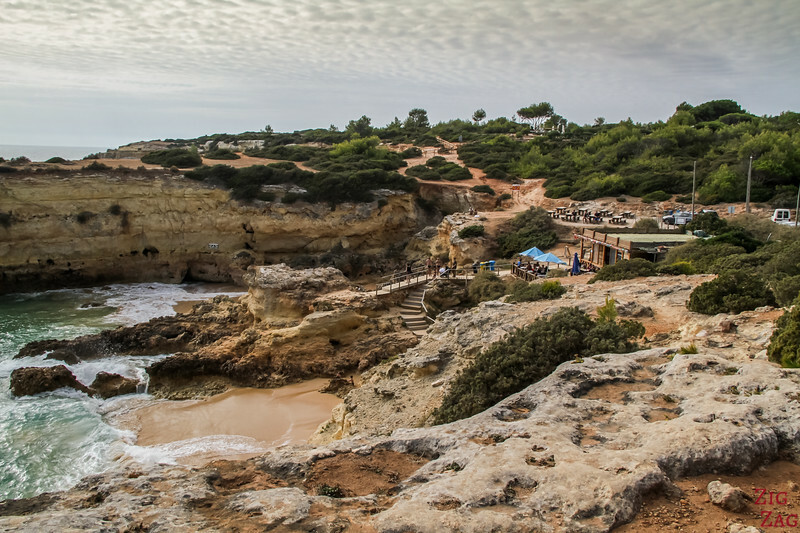 However if you love beautiful cliffs this is your place. 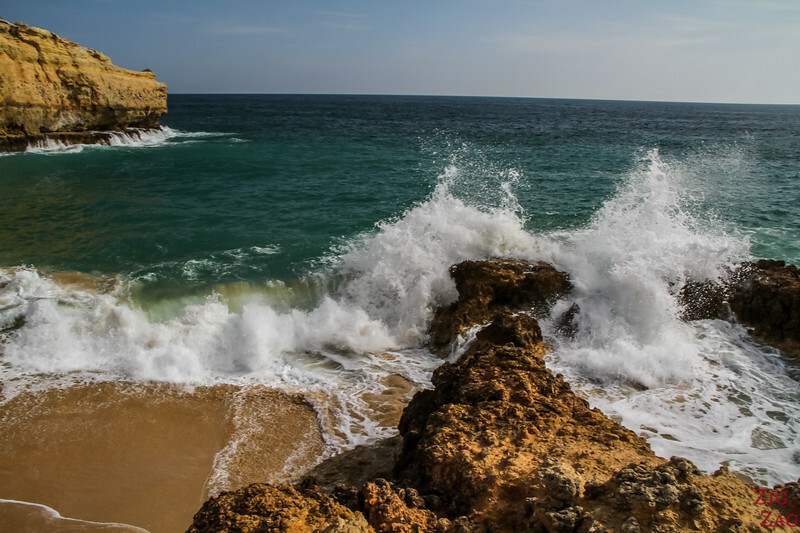 And if you can, visit Praia de Albandeira beach at high tide to admire the waves crashing on the rock formations in the middle and exploding in the air. OK, so you can't have a long walk on the beach... 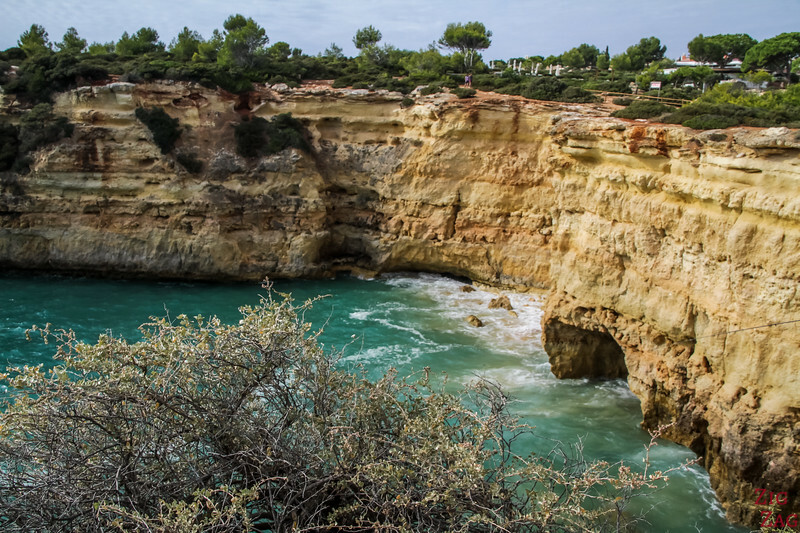 But you can explore the surrounding cliffs. Access is easy just be careful not to stay too close to the edge ! below are the views from the East side of the Beach. 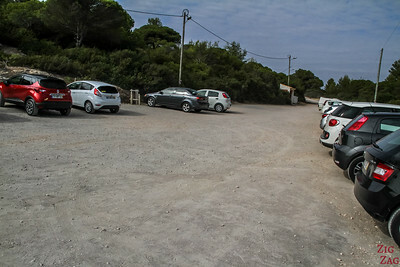 You can see the parking, the restaurant and the stairs going down to the beach. But the best is to walk on the West side of the beach. You first get beautiful views of the middle rocks and the coves. See how the sea is creating a cave? 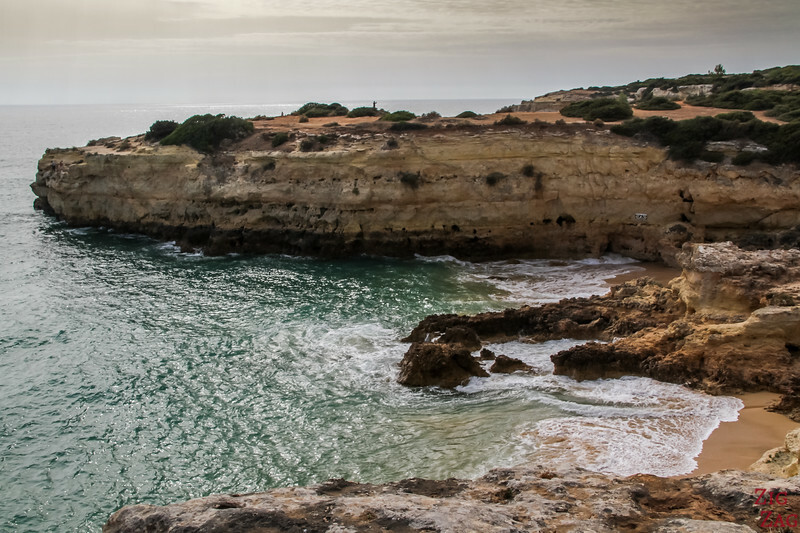 And from the same cliff as above, just turn around and look at the next area carved by the sea. 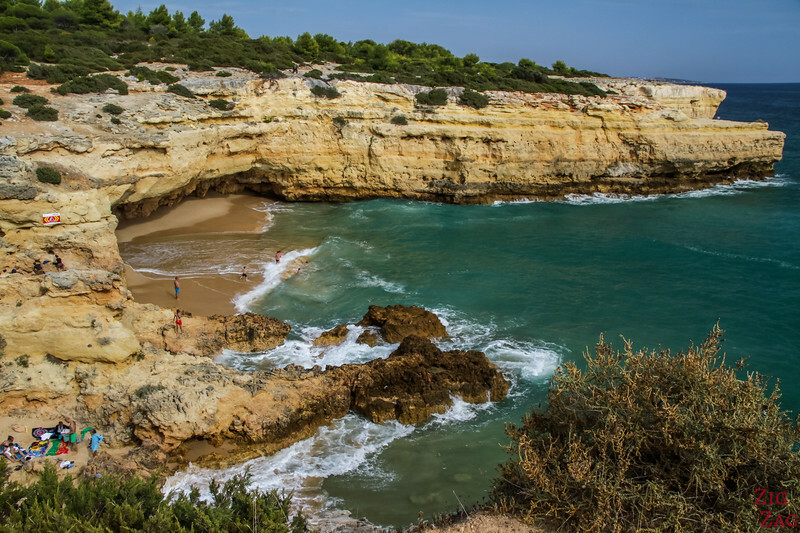 Love beaches? 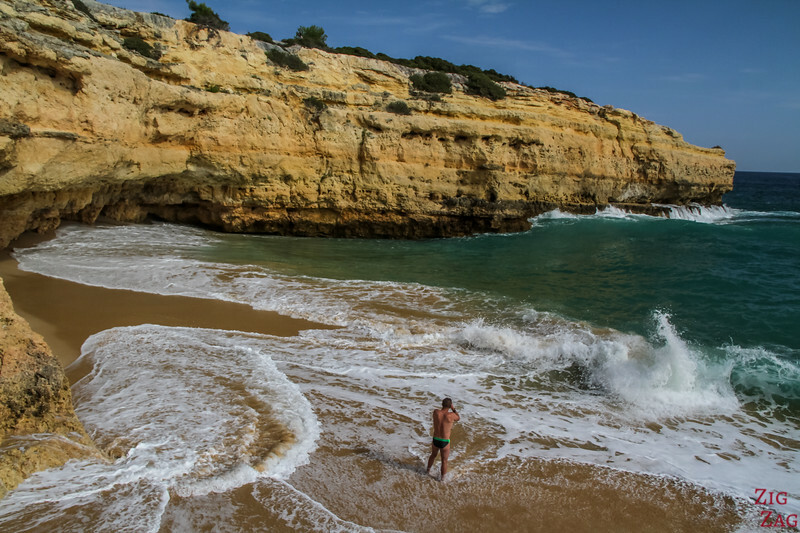 Have a look at my selection of the best Portugal Beaches !